• View topic - 9/4 Update - 2 New Partner Characters + more! Summer's not over yet! In this new and exciting update, we will be releasing 2 new partners, as well as special event dungeons for you to play through on a tropical island! 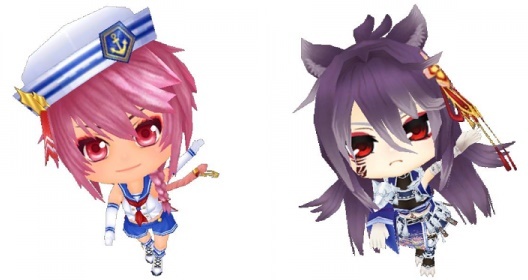 We are releasing 2 all new partner characters: Inuchiyo - Broken Seal and Sarutobi Sasuke - Sailor! Inuchiyo - Broken Seal is available through the silver tier of the Nyankoropon, Sarutobi Sasuke - Sailor is available if you complete the summer event quest! 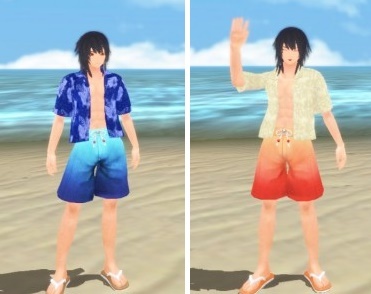 Additionally, we will be adding Outfit Change Swimwear - Sasuke which you can obtain through the event! You can obtain Sasuke's in the exchange shop, and Inuchiyo's in the gold tier of the Nyankoropon. We would like to release the first half of our summer event in this update! You can start this event by talking to Sarutobi Sasuke in the Summer Festival Grounds. 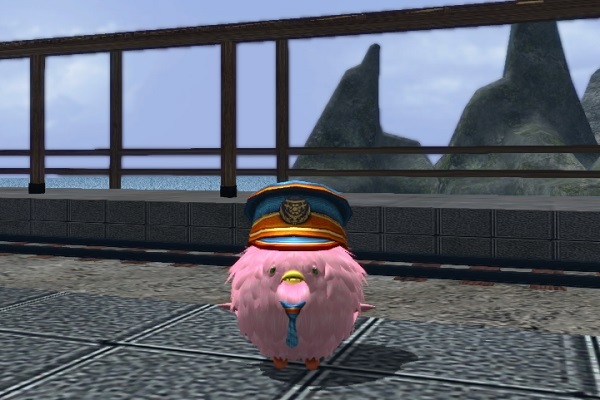 In order to get to the Festival Grounds, talk to the NPC Popgorou in Onigashima in order to warp there. As you advance the quest, you will gain access to Sasuke's exchange shop, and Inuchiyo's Treasure Chest Nyankoropon. *This item is currently not usable in our current Nyankoropon, but we will be adding a Nyankoropon it is usable in the 2nd half of the summer festival! Stay tuned for more information. In the Treasure Chest Nyankoropon, you can find items such as Summoner's Scroll - Sailor Sarutobi Sasuke and Zenith Medal boxes. Look forward to new event achievements as well! By completing a certain achievement, you will be able to obtain Summoner's Scroll - Sailor Sarutobi Sasuke as well! You can obtain 3 of her scrolls from the event exchange shop, 4 from the Treasure Chest Nyankoropon, and 1 from the event achievements. 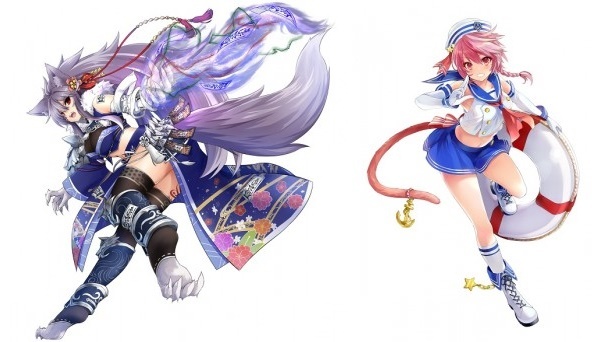 Vanguard Characters: If you have Inuchiyo - Broken Seal and Sailor Sarutobi Sasuke as partners, then the event materials and clear rewards will have a bonus. Mini Character Accessories: If you have Shashuke Sailor or Inucho equipped, then the event materials with have a bonus with them. *The bonus you acquire will vary depending on the partner or accessory you have equipped. - In these dungeons, Inuchiyo will automatically be summoned as your partner. - You are allowed to challenge these dungeons 3 times per day. - In these dungeons, your offense and defense will be increased, and the Vanguard Gauge will fill up quicker. - Vanguard Swap lasts for 3 mins. - In the dungeon, Inuchiyo's status and skills will be maxed out. - These effects are in the normal versions of the dungeons as well, but the achievements are separate. We will be releasing the 2nd half of this event 3 weeks after it begins, so please look forward to exciting new content in the near future! In our Summer Boost Campaign, we will introduce a new Login Bonus Calendar and Point Exchange Bonus, as various other campaigns listed on our website here! *Please note that some campaigns end earlier than others. Check our website here for the exact dates. We will also be having a Summer OC Campaign from 9/4 - 10/8! Please see our post here for more info. We have added Inuchiyo - Broken Seal to the Nyankoropon! She will be available in these Lineups until 10/8. This Gacha can be spun with an SP Gacha Ticket or OC. Everything in the platinum tier comes with a free Premium Gacha Ticket. Everything in the Gold Tier comes with an SP Gacha Ticket. - Unit 01 Limited Nyankoropon (can only be spun with OC): Contains the same lineup as listed above, only all new items have an increased win rate! 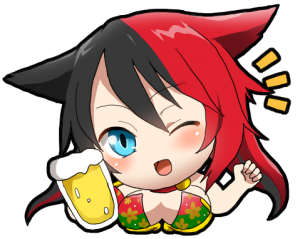 - Unit 02 Discount Spin Nyankoropon (can only be spun with OC with a discounted rate for 25 spins): Contains the same lineup as listed above, only all new items have an increased win rate! - Units 3-4 Premium Nyankoropon (can only be spun with a Premium Ticket): Inuchiyo has now been added to this lineup! Your chance of winning a partner is the greatest in these units. Please note that these items will be removed on 10/8, so please get them while you have the chance! 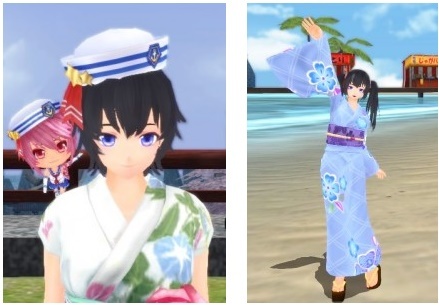 Additionally, the outfits Yukata Evening Calm, Foreshore Surf Shorts - High Noon, and Foreshore Surf Shorts - Evening Rain have been adjusted properly for all character models. - We have added Inuchiyo - Broken Seal and Sarutobi Sasuke - Sailor to Mei's experience dungeons! You can try out these partners if you talk to her in Onigashima. Please note that the enemies in these dungeons have had their appearances changed, and the attribute as well as their Ryou drops have been eliminated. - Kojirou's Redux Event has now ended, and the item exchange and achievements have been removed. - The dungeon boost campaign for Hades Eleos has now ended. - The Magatama Nyankoropon has now been removed. - The Endless Summer OC Campaign has ended, and all SP Gacha Tickets and pieces, as well as Premium Tickets, have been deleted.